There is a place for all adults to come and be a part of Union Grove. 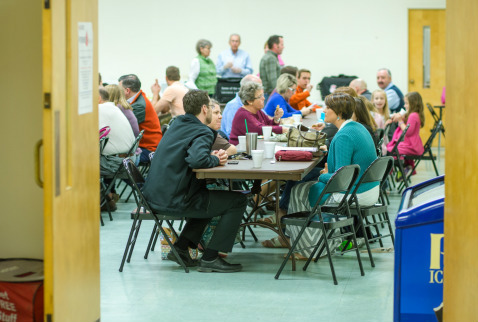 We have a thriving adult ministry for all ages. We also offer Bible Fellowship classes for all ages as well. Women: The women's ministry is one of the most exciting and happening ministries in our church. The women get together each week for Bible studies and fellowships. Men: There are multiple ways to be involved with the different men in the church. Monday Night Basketball: Men that attend Union Grove Baptist Church get together every Monday night for basketball from 7:00-9:00. If you would like to join us please contact zdecker@ugbconline.com before attending as we may have run out of space for playing. Senior Adults: Our senior adults include all those in the church 55 years of age and older. Our seniors enjoy regular monthly activities. From trips around North Carolina to meeting at the local restaurants, our senior adults stay busy.